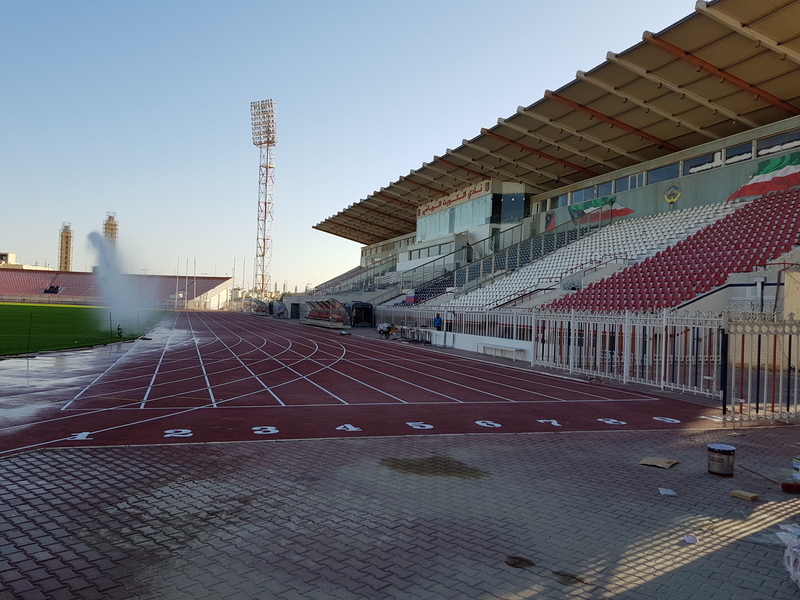 After returning to the UK before Christmas from the Middle East, we are due to return again this Friday to complete a further 2 athletic tracks. Here’s what we got up to when we were in Kuwait in December 2017. 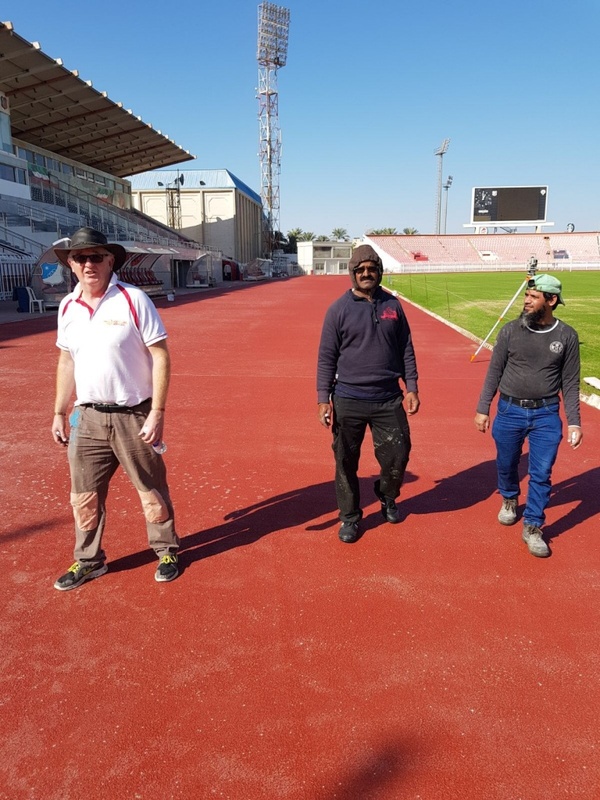 Above image is of John from White Line Services and two local workers are getting ready to start surveying and painting the Kuwait City International Stadium. 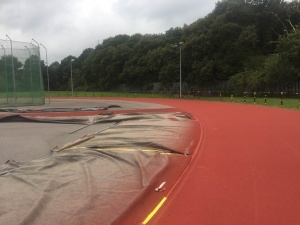 The surveying and painting took us a total of 6 days to complete with only one day of rain and was marked with standard IAAF lines and events. 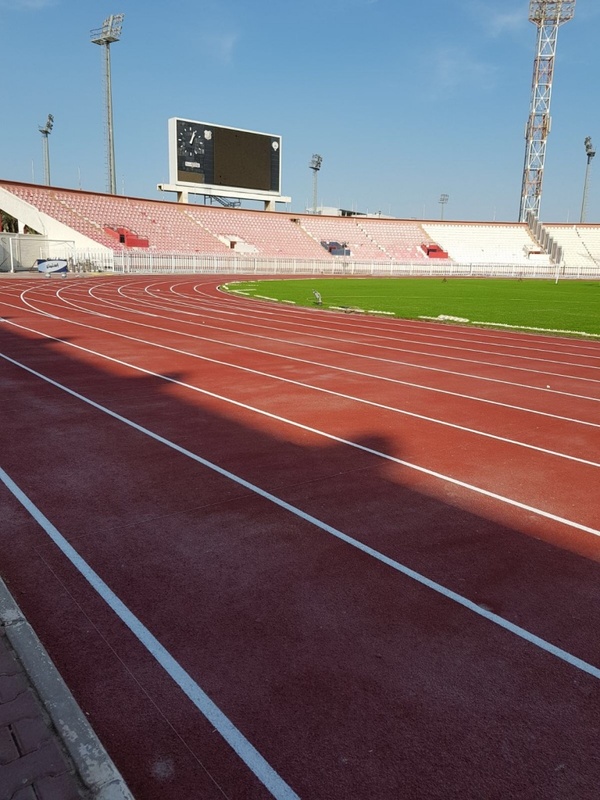 We are looking forward to keeping you posted on our next 2 new tracks out in Kuwait. 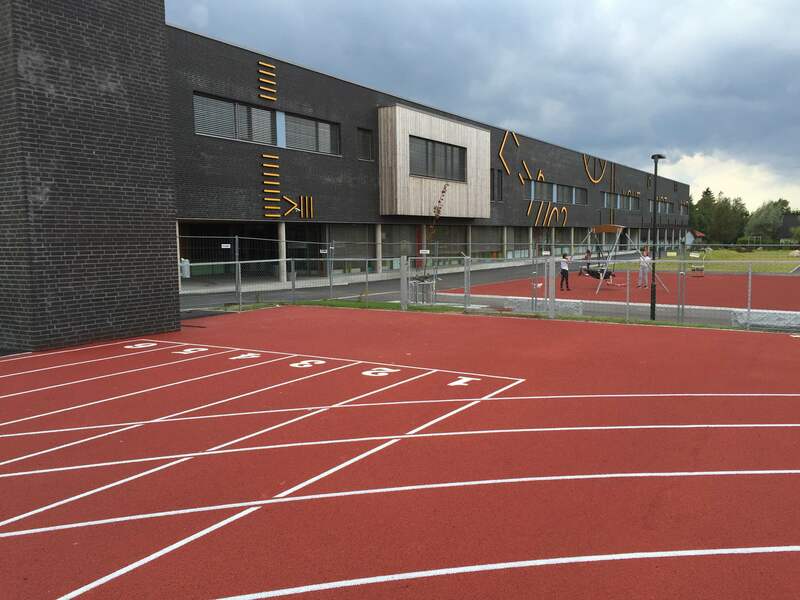 This entry was posted in blog and tagged Athletic Track, Athletic Track Line Painting on January 3, 2018 by Marc Adams.